When a construction firm has multiple projects in the works, scheduling the use of equipment can often become complicated and cumbersome. This is especially true if there is a significant distance between projects or if the projects will require many of the same tools. One of the best ways to ease the burden of scheduling workers and equipment is with a construction inventory management system. It’s imperative to your company’s reputation that you meet project milestones and completion deadlines. Without a construction inventory management system in place to ensure tools and equipment are where they need to be when they need to be, it becomes more difficult for the project to be completed on time. Waiting on equipment to be delivered or not knowing where that equipment is located can negatively affect other workers and their schedules, the budget for manpower and replacement tools, and the overall project budget and completion date. Consumable inventory such as nuts, bolts, drill bits, wire and batteries are notoriously difficult to keep track of. If the inventory is not present when needed, there can be many wasted man-hours, which means lost money and project delays. An efficient consumable management system can not only alert you when inventory is low, but make it quick and easy to get more on the way and keep your project schedule on track. Also, billing consumables per project will become easier. Compliance in matters of preventative maintenance, calibration and inspection must be strictly followed per industry standards. Long gone are the days of using Excel and other similar databases to track the scheduling of preventative maintenance tasks. A preventative maintenance management and compliance system can ensure these tasks are completed on-schedule and as dictated by safety authorities. This helps limit liability by increasing safety and quality control as well. Automating the scheduling of preventative maintenance on tools and equipment can reduce employee workloads, too, as there is no need to record all maintenance information by hand. For larger construction companies, it’s always a challenging task to maintain the accuracy of data and records. 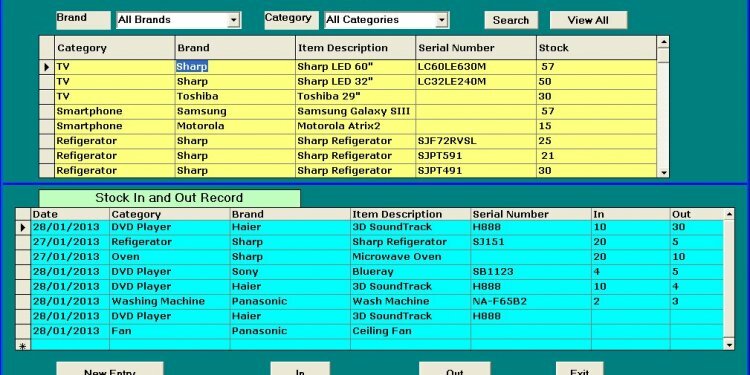 Whenever work is being done manually, such as keeping track of inventory through paper logs, human error too often causes these records to be inaccurate. Not only can these types of errors stifle the progress of your projects, but they can also lead to wasted time spent fixing them. By using a construction inventory management system, accuracy can be increased while reducing paperwork, ensuring you can focus on meeting your deadlines. Properly scheduling employees’ time, as well as the use of tools and equipment, is crucial for efficiency in the construction industry. Regardless of your company’s size or budget, using a system like ToolHound for construction inventory management will help ensure your productivity stays at optimal levels.